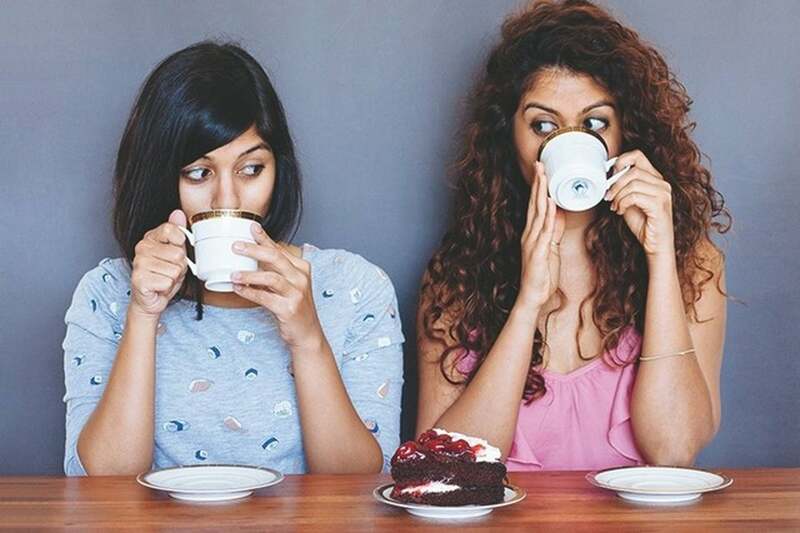 In a city that oozes luxury and extravagance in mass production, two individuals set out to “offer something original in the market that wasn’t mass-produced or available at a mall near you.” Nafisa Rebello and Ekta Saran, being avid travelers, would usually bring back “something native and with a story” for each other. They found that novel and creative items were (and are still) difficult to find in their home city of Dubai, UAE. Although they met artists who had the talent and skills, they found that many of them lacked the resources, knowledge, and time to set up their own website to promote and sell their handmade products. It wasn’t all fun and games, because even though their excitement for ideyna was brewing, they underestimated how long it would actually take. “We needed the components to execute it.” For the business to be commercially viable, they needed the right developer to build the platform, a designer to create the look they were after, logistics and of course, identifying artisans to launch with- a process that “took a long and patient two years.” After realizing that e-commerce platforms with a marketplace support were insufficient for their business model, the co-founders developed their own custom platform. One of their key goals was making sure that sellers had a user-friendly admin panel to manage their inventory and accounts. Besides spending time to test the functionality of the website, ideyna also contacted makers and crafters to test the website, set up shop, list items, and even had test users play the role of ordering customers to cement logistics and site reporting elements. Being self-funded, they couldn’t afford the high costs that most banks would ask for a local payment gateway. After officially launching in February, their biggest challenge was “getting the word out about ideyna, our crafters, and the wonderful things they sell on the site.” To get potential customers to their website, social media and how-to videos were their marketing tools of choice. Both of the 32 year-old cofounders have backgrounds in television, photography and filmmaking as producers, writers and copywriters. The two peas in a pod used to “literally sit next to each other in class”, and the duo regard their 15 years of friendship as an advantage since honesty isn’t an issue. “It also helps that we both have a terrible poker face. So if something’s wrong, we know right away. Even if we do argue, we tend to talk it out. And most importantly, forgive each other, because at the end of the day, we like each other.” Their social media strategy is product-centric; both cofounders admit they are a “tad introverted. Shouting from rooftops about ourselves has always been a very scary proposition,” but telling the stories of ideyna’s crafters is what they find easy. It’s endearing seeing their enthusiasm to showcase the talent of local hand crafters, artists and makers. The market for handmade products is popular, and ideyna commends Etsy for “definitely [being] a huge inspiration.” However, they aim to “create a pool of small businesses that can locally sustain themselves” and by using local resources, skill and talent, they can use their platform to support the “maker movement”. 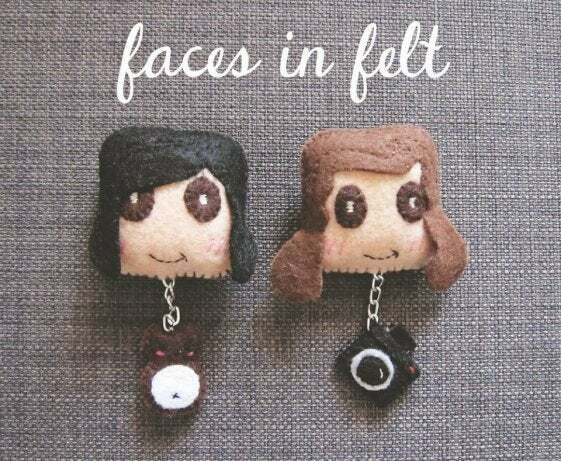 They want bigger things for their crafters too: “We want to see that story of a little crafter becoming an independent entrepreneur and support other budding dreamers.” The duo accepts that localizing a concept is “horribly overused”, and ideyna differs by arranging its own shipping locally and internationally. Unlike other online marketplaces, ideyna doesn’t charge a listing fee and only takes commission on the sale. “We are truly invested in our crafter’s success because we only make money when they do.” With e-commerce being nascent in MENA, Rebello remarked how many artisans still feel the risk of selling online. 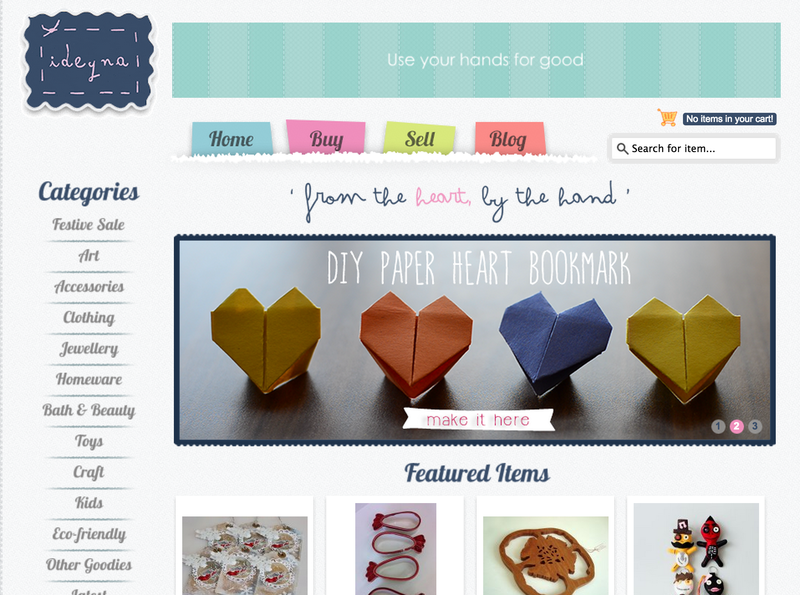 By offering free listing to their platform, this is also their way of encouraging MENA crafters to sell virtually. By making ideyna a “risk-free, creative and collaborative marketplace,” the duo hopes they encourage makers to join and sell with them. What are the qualifications for selling? Their main condition is that though the materials could be imported from elsewhere, the finished product should be made in the UAE. Organized by The Fash Set and alongside other startups, ideyna recently had their first pop-up event last month. Describing it as their first step “from offline to online”, this is what the ideyna team hopes to do more of in the future. Encouraging crafters-to-audiences greetings, DIY workshops and a growing community, they want to be the “go-to when someone wants to learn about handmade goods, and perhaps how to create them too.” Aptly fitting for their tagline of being the ‘handmade marketplace’, don’t you think? A screenshot of the ideyna website. BUYING After registering on ideyna.com, buyers can pay for items with credit or debit cards, PayPal, or cash-on-delivery within UAE. Delivery is within two to three working days depending on their location, unless an item was made to order. The platform also has an in-built messaging system for requests on custom-made items and other inquiries, and buyers can also leave seller feedback. SELLING Makers can register on ideyna.com and send a seller request through their account. After sending information about their work, along with photographs, it can be determined whether the seller is right for the platform or if a meeting is needed. If they’re a good fit, access and space is then given for them to personalize. In this way, they can manage their own little business on ideyna. One of Pizo Products’ handcrafted items. Ragmatazz: Minakshi Nagu, whose father was in the army, used to move across India and decided to make clothes for herself after often being invited to soirees. Her daughters become her models and later on, the mother-daughter trio moved on to embroidery bags. Minakshi designs and executes the vision, while daughter Ragini sometimes draws sketches for the bags, and Rohini handles the marketing for the brand. Pizo Products: Whoever said that crafts are only for girls hasn’t met Zineddine Messaadia. The 20-year-old Architectural Engineering student is inspired by Japanese pop culture and “all things bizarre”, and creates quirky plushies, key chains, brooches and more. Messaadia was also one of the crafters conducting DIY workshops at ideyna’s pop up shop to teach people how to make small wool felt key plushies. Crochet Bond: The ideyna team describes them as the “loveliest grandmothers from Egypt”. But don’t let it fool you, Suha Mulqi and Wafaa Salem are both former chemists too, the reason for their crafting persona. The duo’s true passion are crocheting and creating adorable children’s clothing and housewares. Palm Lights: When eco-advocate Bhawna Sehra couldn’t find a 100% natural candle, she decided to make her own, and spent months on perfecting a formula that was truly eco-friendly. Sehra uses Palm Wax as her main ingredient and everything down to wicks and packaging is environment-friendly. Each candle is made from careful experimentation and perfecting a formula she spent months on.